Aluminium table complete with a 600mm diameter tops. Available from stock for a free next day delivery. Lightweight and easy to handle. These tables are suitable for outdoor commercial use. 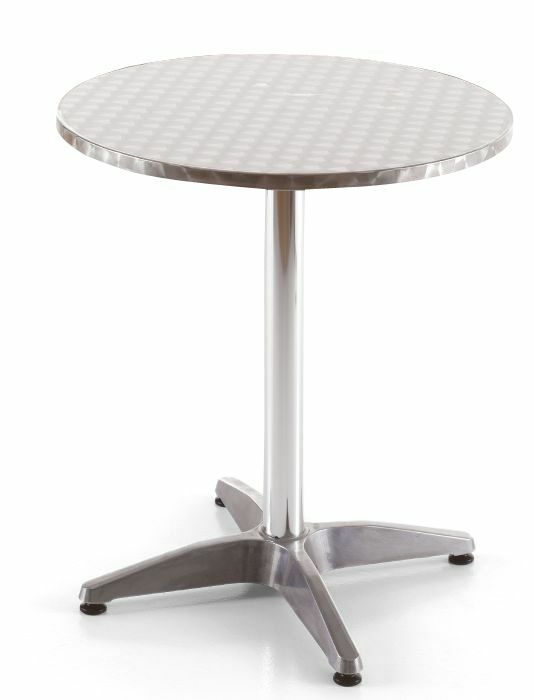 Complete aluminium table built for use with an outdoor seating area. Mix and match with our fantastic range of outdoor seating.